Do you have a video of you placing your jig and getting bit? Only ones I’ve seen is a fuzzy image of something and some jigs? I’d like to see a clear video of you seeing fish, placing your jig and catching one. I’m dying to buy one but boy I have yet to see anything other then talk. I can't tell if your just trying to stir the pot with this post and all your others in this string but in the first video he posted (don't know where it went) but you see the guys jig with a fish swimming up to it and they say raise your jig a little and that fished slammed it. There are many other videos on FB and the internet that shows the exact same thing. I also have personally experienced it (sorry, no video to prove it to you) but was fishing on a tree and had my jig within a foot of a fish on a limb but he never moved to get it. I picked up my jig and placed it on his nose and he hammered it. Made a believer out of me and I ordered it on the spot (and yes, through SUaF/David)! Works with MG Xi5, Xi3 and MK Terrova, Ulterra, PD V2 and Riptides as well. Wonder if it stings a little more with Livescope when you can see them down there and not get them to bite! IT's bad enough with the 360. No pot stirring. So far all I see is one guy trying to sell a $2500 unit and another guy who bought one trying to justify his purchase! Let me know if I can help you out. I would be happy to assist you. David - I want to thank you for your great service and pricing when I purchased my unit (and everything else I've bought through you). I had a lot of questions about it and you were very thorough, patient and knowledgeable. Thank you for personally taking me out on your boat twice to show me and help answer my questions. I don't know too many others who go to that extent to help a customer out. Keep trying to help others by keeping them informed of all these great products that come out and then providing the excellent prices and service. Finally, keep doing what you do and being you. Many on here appreciate it. Seems like there's at least 2 people on this thread that have one you could probably check out if your dying to purchase one and are unhappy with the quality of their videos. Unless you have no real intent of purchasing one to begin with! Personally I think all this electronics hub bub is just bologna and nobody needs any of it! Especially folks fishing D1 in CAT!!! That's my lie, I mean 2 cents!!! David is a straight shooter and is excited about a new product. Nobody is trying to talk you into a purchase. They are merely sharing the new technology available today. I'm sure more videos will be available as time moves on, maybe you can find what you're looking for later. I bet there will be more than one or two using them next year. When you putting one on your sled? How you doing Red (and your wife of course)? Been awhile since I have seen you post. I'm still trying to afford jeans without holes in em! I'm a long ways off from new fishing toys! Every intention of buying “something”. But from what I’ve seen here I may have to wait and see what hummingbird comes out with. Interesting though how you cant ask questions about a large investment unless you agree with the guy selling it or the guy that bought one? Interesting though how you can't ask questions about a large investment unless you agree with the guy selling it or the guy that bought one? FYI...TFF staff is working on the sight so videos are not present at this time. I have not removed them and we hope they will be back up soon. I do not believe I have asked you to agree with anything I have produced in this thread. I only share info on the product and I will share with you again more info on the product from your recent inquiry on the Humminbird. 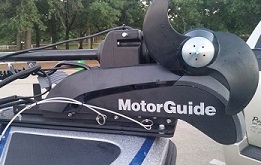 I will also elaborate as to what is truly going on in the industry of fishfinder manufacturers. 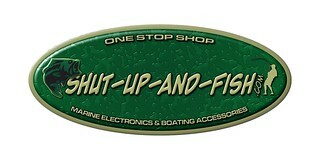 1st off I could go postal on you here in the open forum, however, that is not how I do things here at shut-up-and-fish. I have for 11 years (over a Decade mind you) in growing my business always taken the high road. Not one negative response and I believe the "Good Trade/Bad Trade" Reports in this forum will show you that. I see that you may have drawn interest to others as to how you have brought about your thoughts and feeling to this post as to why they speak out loud on your behalf. I have also had numerous private messages as well as a few phone calls asking me what is up with "Slab Killa" I, in fact, had a customer in the shop just yesterday getting work done laughing about you and how you have conducted yourself in this post. So with that now behind us, I will again share with you and the many other fine members of this site what is coming forth in the industry of marine electronics. 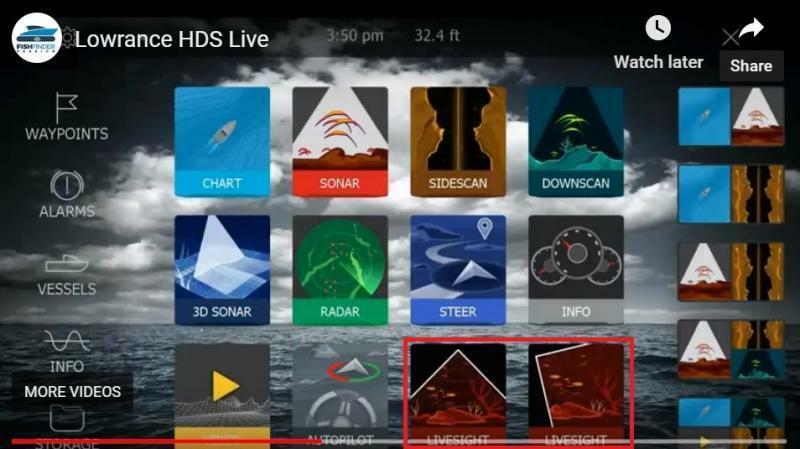 In 2018 Lowrance introduced the HDS Carbon. In the eyes of the consumer there just wasn't much difference in it over the HDS Gen3 to justify dropping the HDS Gen3 and getting the HDS Carbon. Lowrance had a slow year in sales on the Carbon model. Most may or may not know but Lowrance and Garmin went through a battle in court. Garmin was allowed to introduce Panoptix and now Panoptix LiveScope. This is actually technology produced by Lowrance and now introduced to the marketplace by Garmin. 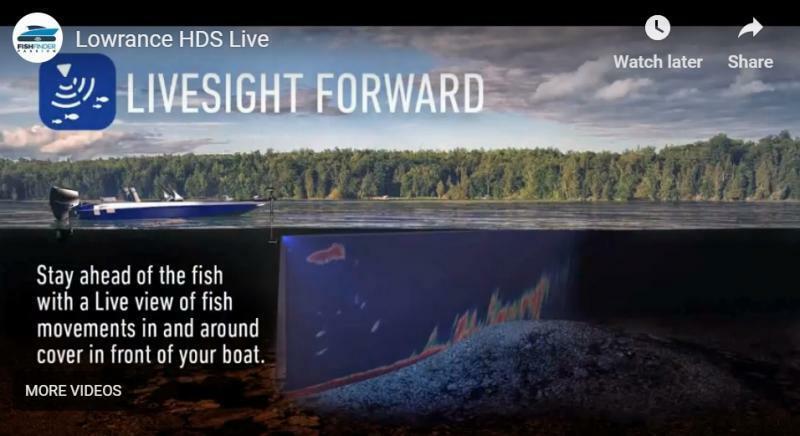 You may have seen Lowrance recently introducing the new HDS LIVE as well as LiveSight. If you pay close attention to the area I have outlined in red (below images) you will notice on the menu screen LiveSight with images showing forward and downward views. So yes, Lowrance will have the same technology coming to the marketplace in Spring 2019. Humminbird has in a nutshell done the same thing that Lowrance did in 2018. Humminbird discontinued the G2N and introduced the G3N for 2019. Just like Lowrance no real changes from the HDS3 to the HDS Carbon to drive me to drop the G2N and race out and get the G3N. Humminbird has not produced anything to the marketplace at this time to compete in the LiveScope or LiveSight technology. Humminbird will have a slow year in sales for 2019 as Lowrance had in 2018. For the Humminbird fan: hold tight to your G2N unless it is absolutely time for an upgrade or if you are still in the numbered series such as the 800, 900 and 1100 then it is justifiable to go into the G3N series. 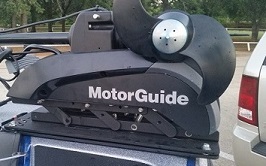 Do not hold this to me but I think if you want to utilize the NEW Built-In Mega DI transducer on the Minn Kota trolling Motors it will require the G3N series. For the Lowrance fan: if you are fine with your HDS Gen3 (great unit) then simply purchase the Garmin Panoptix LiveScope w/compatible display and save some buck. If you are below the HDS Gen3 then it would be justifiable to go into the HDS LIVE series with LiveSight. Do not hold this to me but I think you can purchase a Livesight module for the Carbon to achieve LiveSight. The HDS LIVE will accept the LiveSight direct w/out a module. LiveSight is not compatible with the HDS Gen3. For the Garmin fan: Garmin has come along way in the marine electronics field. They offer units with a CV52 clearvu downvu transducer for the 455kHz and 800kHz. You can add the HD module with the GT52 transducer and achieve the 1.25Mhz teamed up with the Panoptix LiveScope or you can simply purchase a compatible Garmin display such as the echoMap Chirp Plus 93sv (9") w/out transducer teamed up with the LiveScope. See video here. 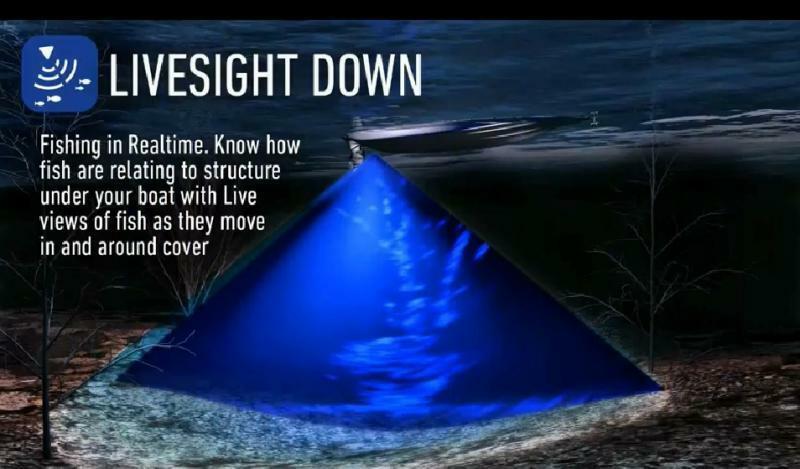 Not much info about the LiveSight to read about, however, if you pay close attention to the video Lowrance is giving us the full perspective of there LiveSight. Watch the part when it shows LiveSight Down view, it will be in real time real image. 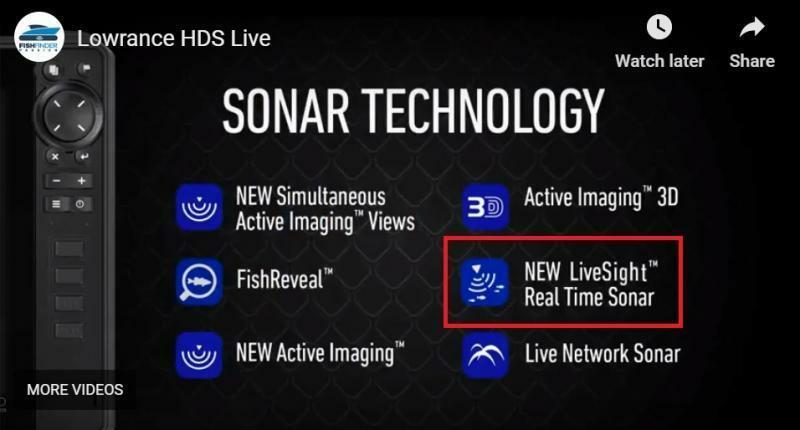 Pay attention to when they show LiveSight forward view, it will be in real time 2D sonar as what Garmin 1st Panoptix release was. Text Joey at 817-897-1384 for great rod and rod repair rates!